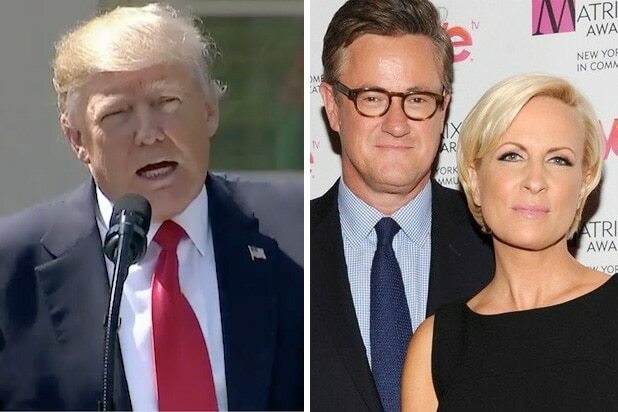 MSNBC’s “Morning Joe” guest Donny Deutsch slammed President Trump as “racist” on Monday for not speaking out against white supremacists following weekend violence in Charlottesville, Virginia. “What a pathetic sniveling little man our president is, a coward,” Deutsch said. Deutsch pointed to various things in Trump’s past, including the housing discrimination issues from his time as a real estate mogul and rhetoric about reverse discrimination. “We have a racist as a president,” Deutsch said. Deutsch supplied the intensity to MSNBC’s morning show with Joe Scarborough and Mika Brzezinski absent. Three were killed and dozens were injured over the weekend when white supremacists descended on the small town in Virginia.